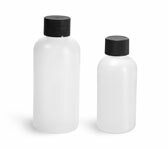 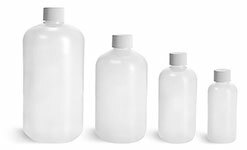 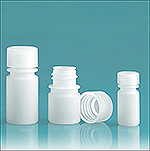 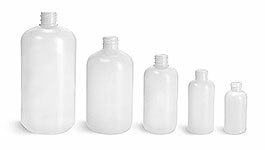 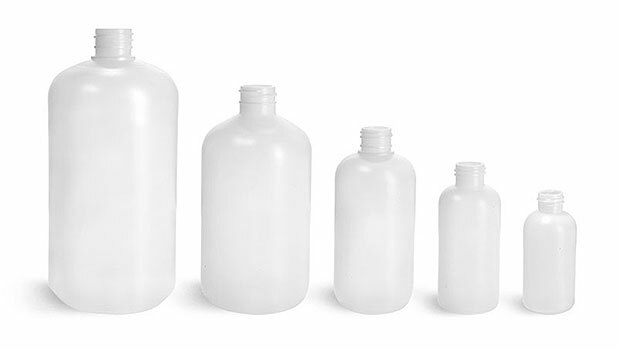 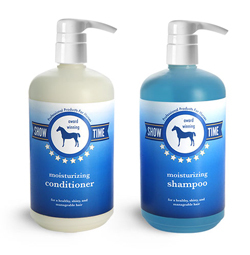 These natural HDPE boston round bottles include white lotion pumps with smooth collars. 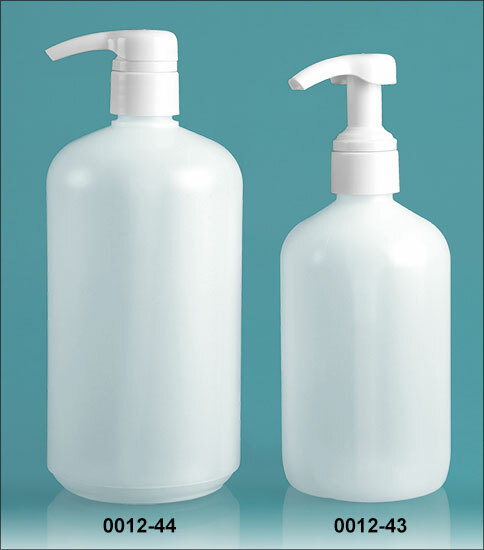 Each lotion pump dispenses 4 cc of liquid per stroke through a metal-free fluid pathway. 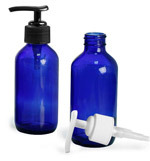 Consider using these natural plastic bottles to dispense lotions, shampoos, hair care products and more!